A bibliophile cannot walk past a bookshop without slowing their step. We will linger at the window, gazing through the glass at stacks of books we have not yet read. We hover, telling ourselves we must read the pile on the nightstand before buying another. But we can't resist the lure. Before long, we open the door, sounding the tiny bell that rouses the shop cat. We're in, and we're going to be a while. The only thing that tops a bookstore full of amazing books, is a beautiful bookstore full of amazing books - a bookstore so charming not even a TV-addict can resist it. Many stunning bookstores list their books for sale on the AbeBooks marketplace, so we rounded up a few of the most alluring storefronts from Paris to Boston and everywhere in between. Even those immune to the magnetic pull of the smell of old books will stop dead in their tracks at the sight of these pretty AbeBooks bookstores, so before you step inside to bury your nose in a book, take a moment to enjoy the view from outside. 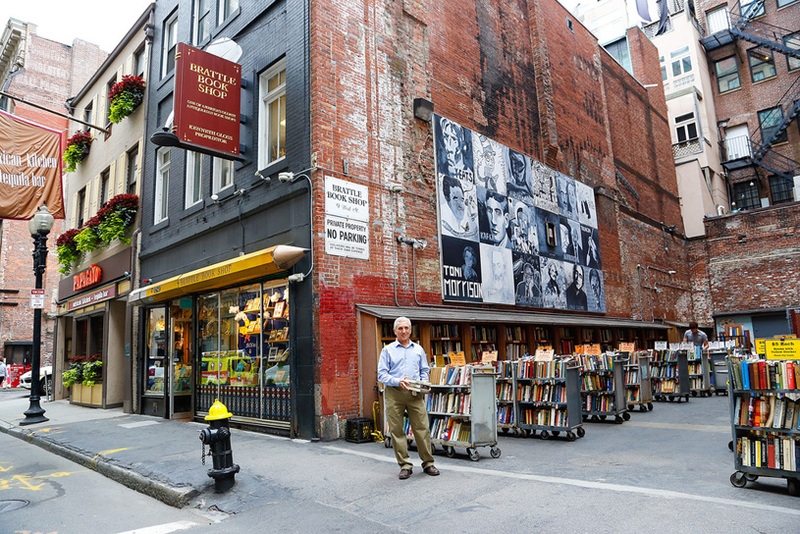 Located in Boston, MA, Brattle Book Shop first opened its doors in 1825. George Gloss took ownership in 1949 and his son Ken (pictured above) runs it today. The three-story building in downtown Boston is home to over 250,000 books, including two floors of used books and one floor of rare & antiquarian books. The books have even poured into the neighboring outside lot, nestled under the watchful eyes of Toni Morrison, Kafka, and Yeats. Browse the books. For most of the 20th century this charming storefront in Eureka, CA was a rough-and-tumble speakeasy called the High Lead Saloon, where in 1933 the two owners had a shootout in the back hallway. Only owner Tom Slaughter survived, and his family owned the building into the 1970s. It's also said that author Raymond Carver indulged at the High Lead, and a picture of the building can be seen in his book Carver Country. Today, the building is occupied by a slightly softer crowd. 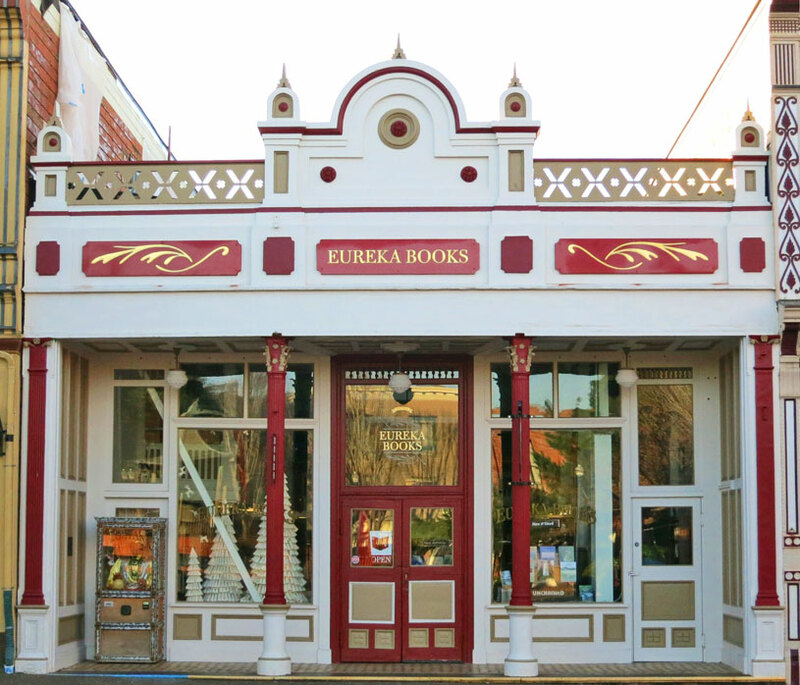 Eureka Books moved in in 1992, and all signs of scandal seem to be gone. One of the last classic antiquarian booksellers on the westcoast, Eureka Books offers first editions, ephemera, and new and used books. Browse the books. A list of beautiful bookstores isn't complete without a proper London shop. 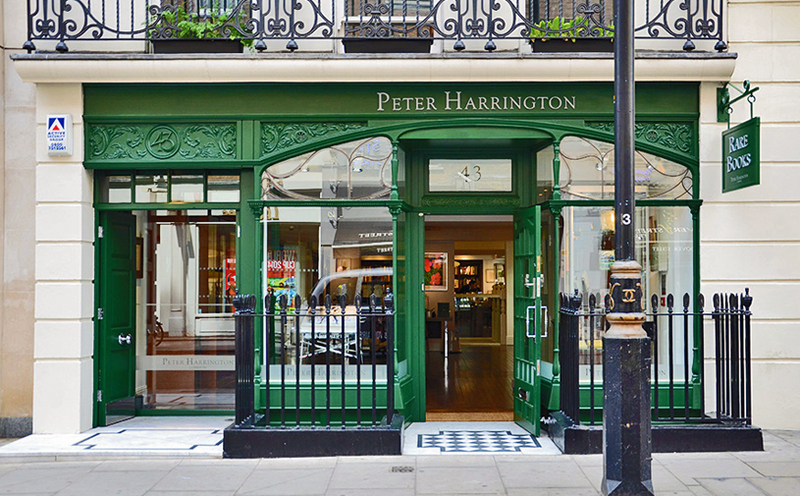 Peter Harrington has been dealing in the rare books business since 1969 and boasts an impressive selection of exquisite modern first editions, manuscripts, and more. Browse the books. Paris, France might be one of the most beautful cities in the world, and Libraririe Jousseaume fits right in. 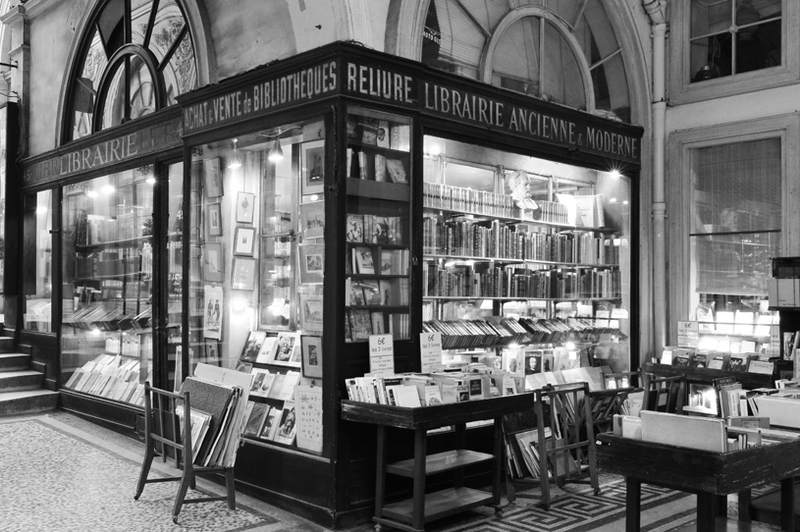 Selling books since 1826, Librairie Jousseaume offers everything from history books to travel literature and poetry. There's no more romantic place to browse books than here. Browse the books. A haven for booklovers, Paris of course appears twice on our list. 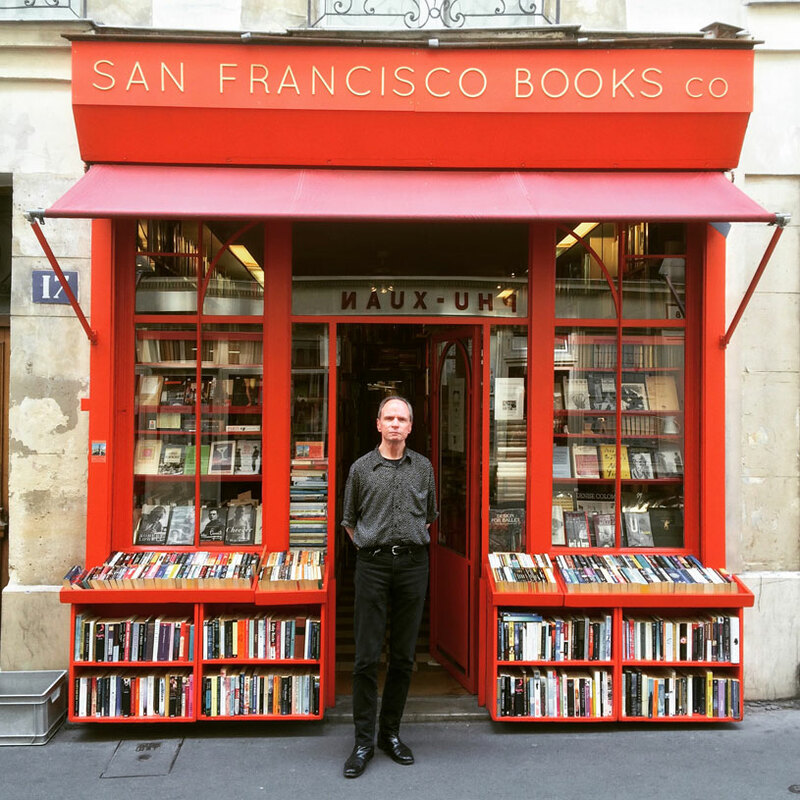 San Francisco Books Co. is an English/American used bookshop located at 17 rue Monsieur le Prince on the Left Bank. From pocketbooks to first editions, it's a tourist's dream come true. Browse the books. Adrian Harrington began trading in 1971, as part of Harrington Brothers in the Chelsea Antiques Market on London's fashionable King's Road. 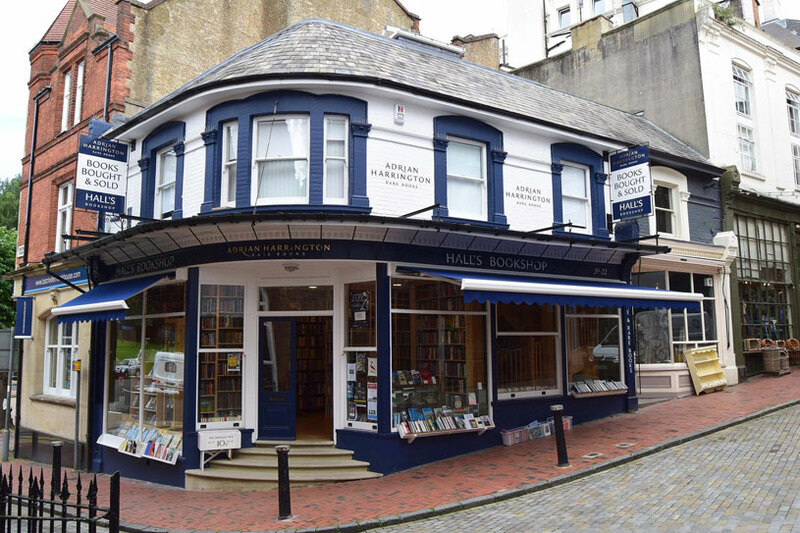 He moved to Kensington Church Street in 1997 and in 2014, after 40 years of bookselling in the capital, Adrian relocated to the historic Hall's Bookshop in Royal Tunbridge Wells, occupying the first floor of this iconic building near The Pantiles area of the town. Browse the books. 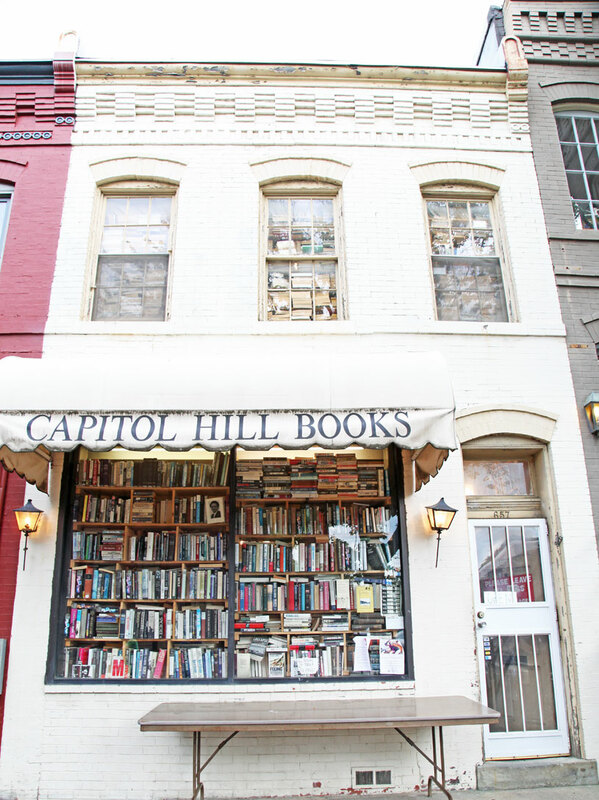 Located on historical Capitol Hill in Washington DC, this two level bookstore is brimming with used, rare, and first edition books - it looks as though the windows can barely keep them from pouring onto the street! Browse the books. Located in historic Hudson, NY, Hudson City Books opened in 2006 in a building built in 1865. Their inventory includes over 12,000 used and hard-to-find books. Browse the books. There's something about books and bricks. 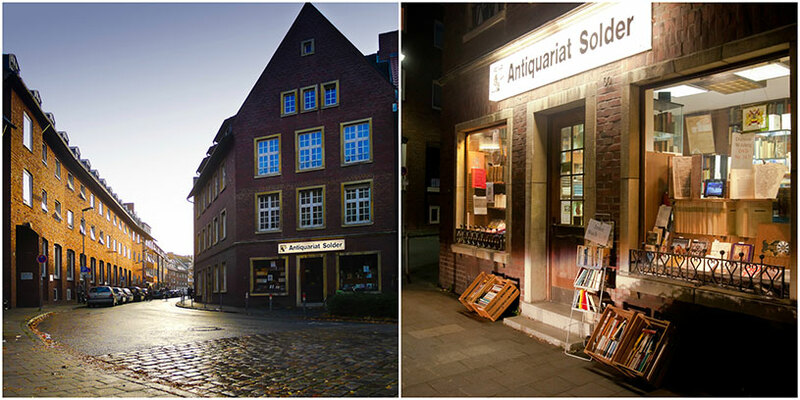 Located in Münster, Germany, Antiquariat Michael Solder offers a vast catalog of out-of-print books, special editions, and antiquarian treasures. Browse the books. At first glance, this might not seem like a bookstore at all. 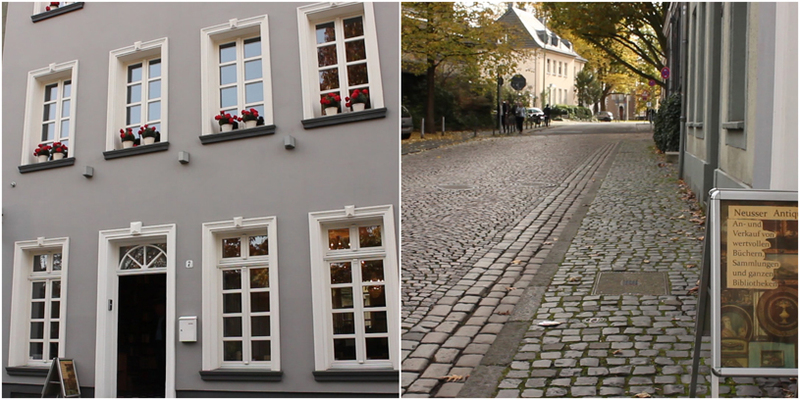 Cornelia Storch opened the rare & antiquarian shop in this stunning 200-year-old heritage home in Neuss, Germany. In fact, the home was built over an existing cellar that dates back 300 years. What was once a dark and damp cellar is now a beautiful candle-lit nook and home to incredible leather-bound books. Watch the video below for a look inside this gorgeous bookstore. Browse the books. Tell us about a beautiful bookshop in your city!